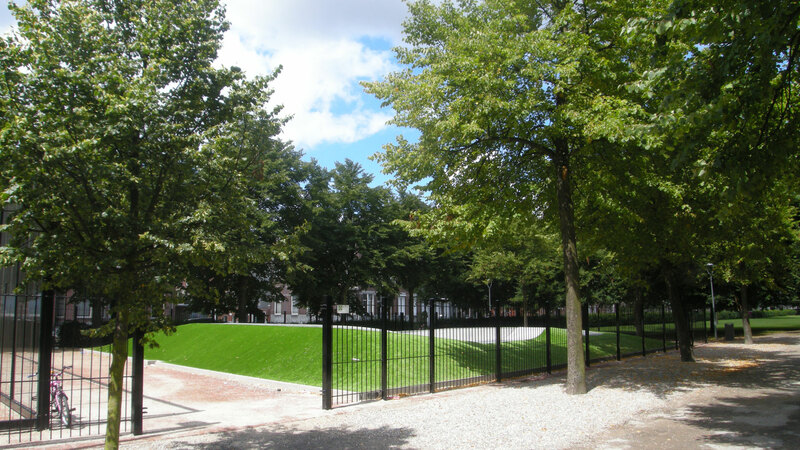 The Heemraadssingel is a beautiful green lung in one of the old characteristic neighbourhoods in Rotterdam. 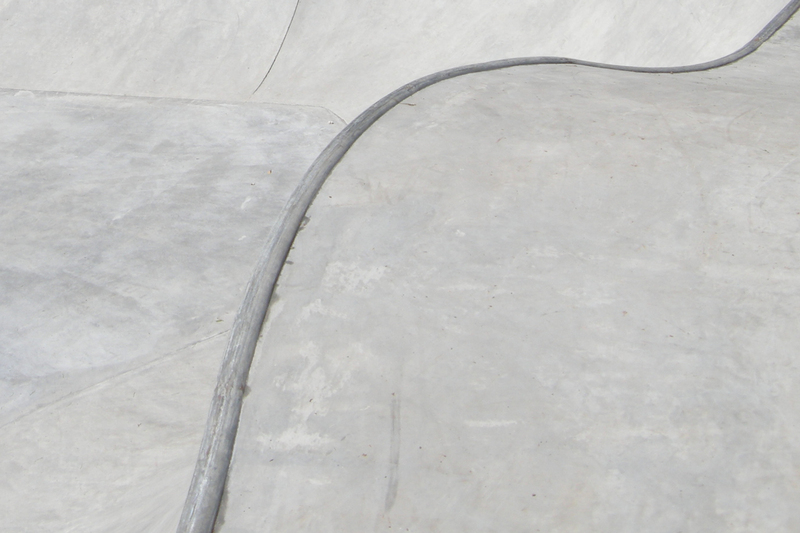 Typically not the place a skatepark would be planned by the authorities. 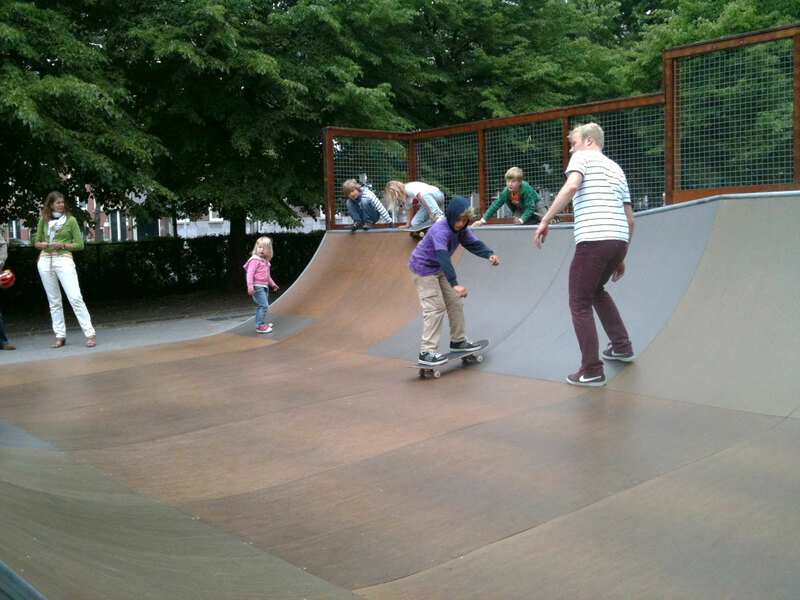 However, together with local skaters from our neighbourhood, we successfully proposed the idea of a skatepark combined with a multifunctional sportsfield to the Municipality. The hardest part was to convince the neighbours looking out onto the plot. Our project was awarded a small grant, which we used for a pilot project in the form of a wooden miniramp at the site. 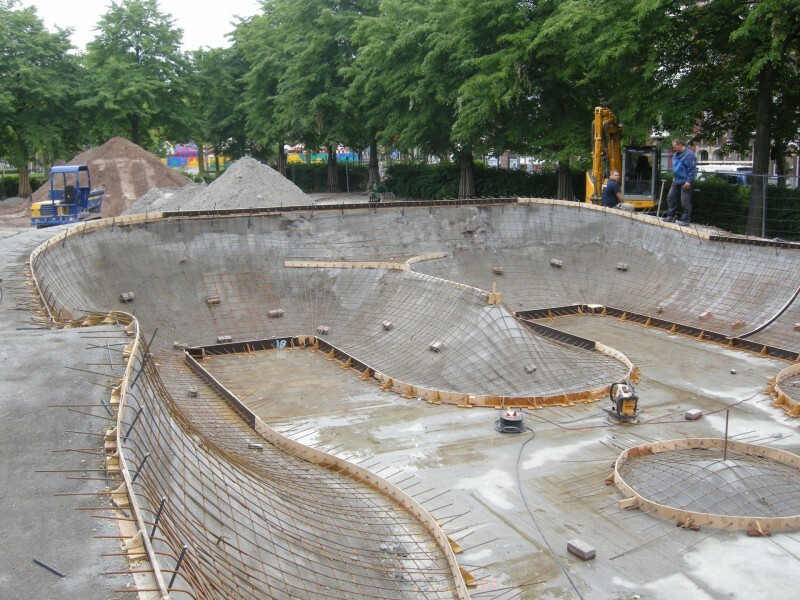 It was realised in the summer of 2010 by Hectik Skateramps, involving the local community in the building process. 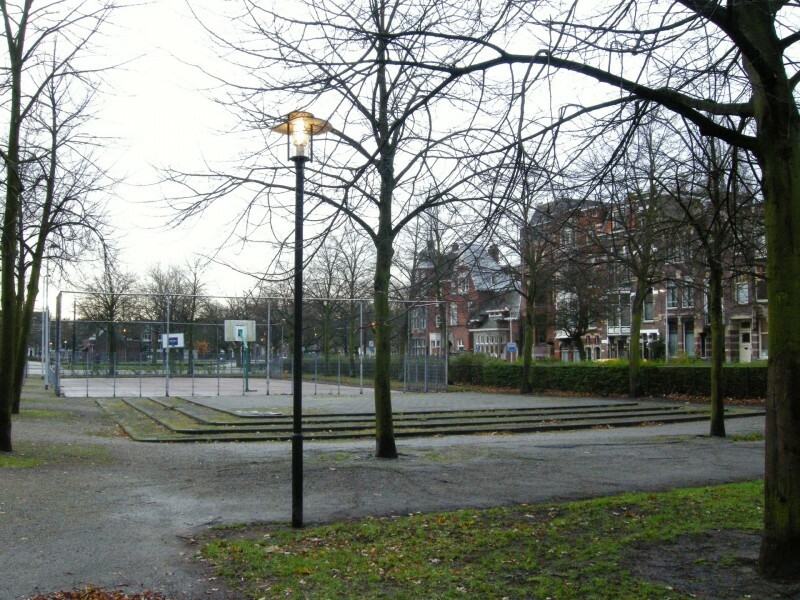 On this ramp, we organised skateboarding lessons together with Stichting Singeldingen in order to get local people to embrace the future skatepool. We organized skateboarding lessons together with Stichting Singeldingen in order to get local people to embrace the future skatepool. Things got rolling when the municipality commissioned us to come up with a visualisation of the proposed concrete pool and the adjacent sports field in order to convince all parties involved of the end result. The skatepool design then got further developed by Skateon in collaboration with us and our fellow initiators and other local skaters. The adjacent multifunctional sports facility and landscaping is designed by DS+V in collaboration with us and the local community. 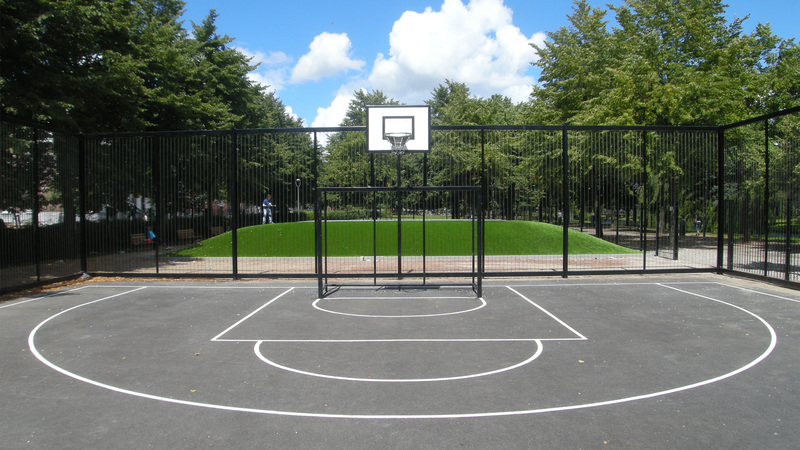 In this dialogue, the placement of a fence around the sports facility was requested, as well as several benches and a multifunctional sports field. 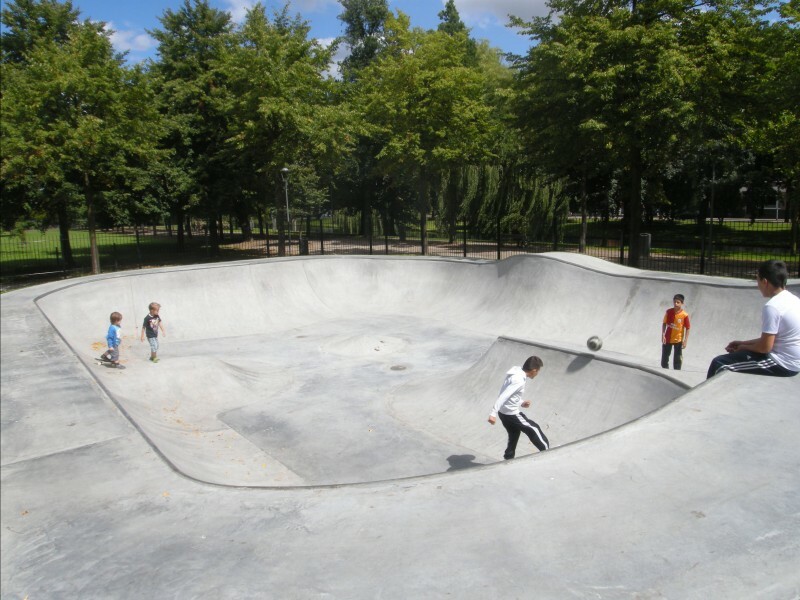 The skatepark is sunken half into the ground and pops up for the other half to create a sculptural crater in the landscape of the park. 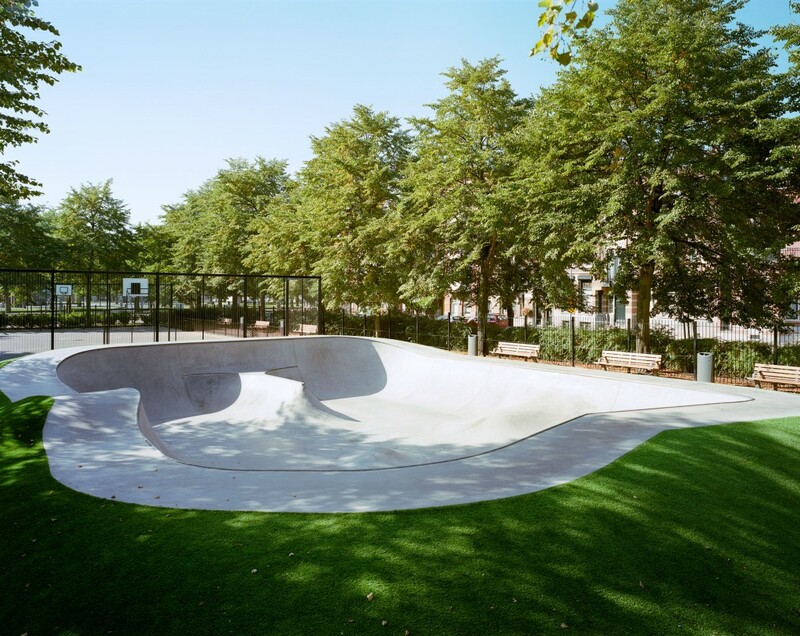 Our design ambition was not to create an obstruction of the open view through the park, but to use the undulating geometry of the skatepool in order to create an inviting gesture. This works very well because the gently sloping grass sides invite all visitors to stand on the deck of the pool, creating a centrally focused arena and giving visitors a feeling of vertigo while standing at the deep end, watching the skaters drop in and fly by. 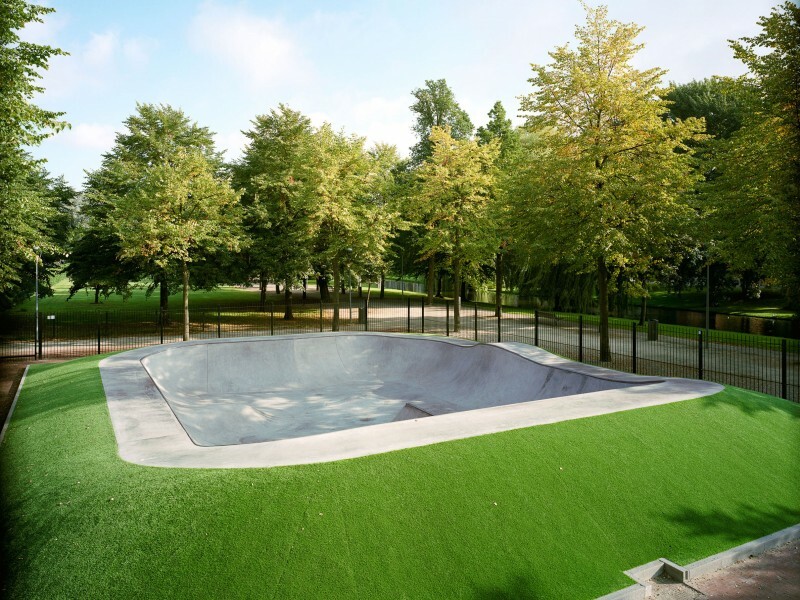 The gently sloping grass sides invite all visitors to stand on the deck of the pool, creating a centrally focused arena and giving visitors a feeling of vertigo while standing at the deep end, watching the skaters drop in and fly by. The seamlessly curving pool is made completely by hand by expert builders. After the pool got finished, together with our fellow initiators and local skaters, we continued the skateclass and organised the official opening event, the Pool Party. This turned out to become a yearly event named Rotterdam Pooligans, attracting an international crowd of top skaters and locals sharing blood, sweat and beers. Keep updated and become a friend at the official Skatepark Heemraadsingel Facebookpage and check out our Pooligans website for the annual contest.